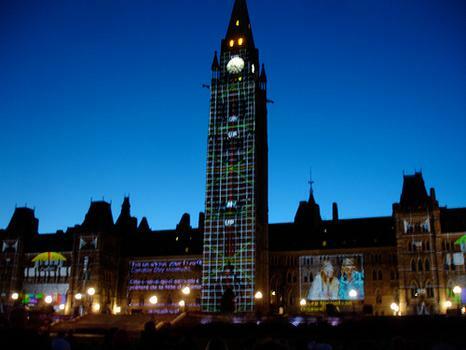 The Mosaika Parliament Hill Sound & Light Show is a 30 minute film about Canada projected on the Centre Block of the Parliament Buildings during summer months. The Mosaika Parliament Hill Sound & Light Show is a 30 minute film about Canada projected on the Centre Block of the Parliament Buildings during summer months. It takes you through the history and all provinces of Canada. No reservations or tickets are required, just carry a chair or blanket.